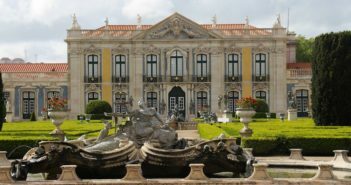 A first trip to Portugal should include both Lisbon and Porto, which allow you to experience the hippest capital and the cosier face of Portugal’s second city. Seven days are enough time to explore both cities, and to include a few stops on the way. Renting a car is essential if you want to do this itinerary, and make the most of your limited time. If you want to see more of the country, you can add two or three days and explore the Douro valley, which is a Unesco-listed site. You can add Portugal’s south region, namely the Alentejo wine region, including Évora, which is a world heritage site with Roman ruins, or the southwest Alentejo known for its wild beaches and natural park. Speaking of beaches, you can add two or three days and head to Portugal’s Algarve coast. Last but certainly not least, including the Azores or Madeira islands will add at least two or three days to this itinerary. 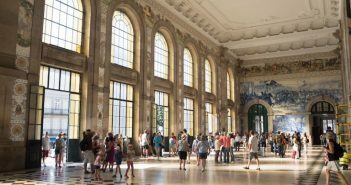 How Much Time Should I Spend in Lisbon and Porto? The ideal breakdown is 2 full days in Lisbon and 2 full days in Porto. The remaining 3 days, you’ll stop in several places of interest on your travel from Lisbon to Porto. Perfect for: First time visitors to Portugal with limited time. Cities and places visited: Lisbon and Porto, with stops in Sintra, Óbidos, Nazaré, Alcobaça, Batalha, Fátima (or Leiria), Tomar, and Coimbra. 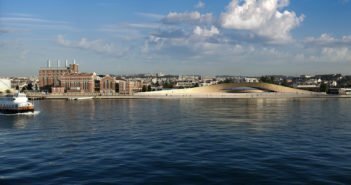 Arrival Airport: Most people will fly into Lisbon Airport and do this itinerary. But Porto Airport has flights to more than 50 European cities. 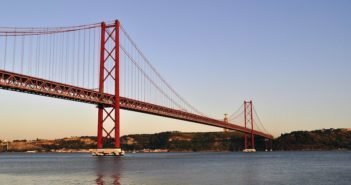 Actually, it doesn’t matter greatly if you start there and end in Lisbon, as you can easily do this itinerary in reverse order. Best Season: Any time of year, but ultimately late spring (April to June) and late autumn (September to November) is when the weather is comfortable and crowds are smaller. 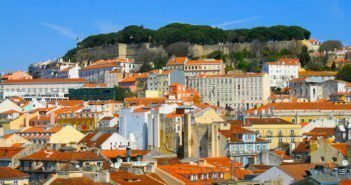 Two full days in Lisbon are enough time to explore the historic neighbourhoods (Alfama, Baixa, Chiado and Bairro Alto) as well as the riverside Belém and Parque das Nações areas. 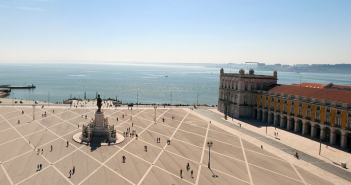 See our full Lisbon Two-Day Itinerary for details. With so many good hotels, it can be hard to decide which one to choose. 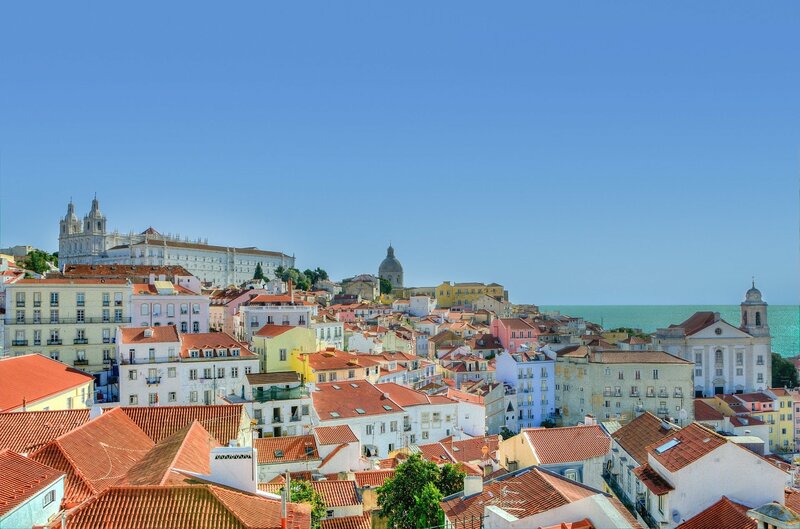 We’ve narrowed the list down to a few Lisbon hotels in the best neighbourhoods. On your third day in Portugal, consider a trip to Sintra, a Unesco World Heritage Site, known for its extraordinary palaces and gardens. After that, explore Cabo da Roca, the westernmost point in mainland Europe. See our itinerary for planning a trip to Sintra, Cabo da Roca, Guincho and Cascais. 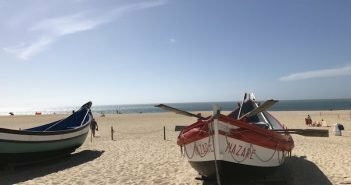 Depending on how much time and interest you have, you might want to make a detour to the coast and visit Ericeira or Peniche. Otherwise, go straight to Óbidos. If you arrive when it’s dark, don’t worry. You’ll see the the beautiful walled medieval town lit up, and can explore in the morning. 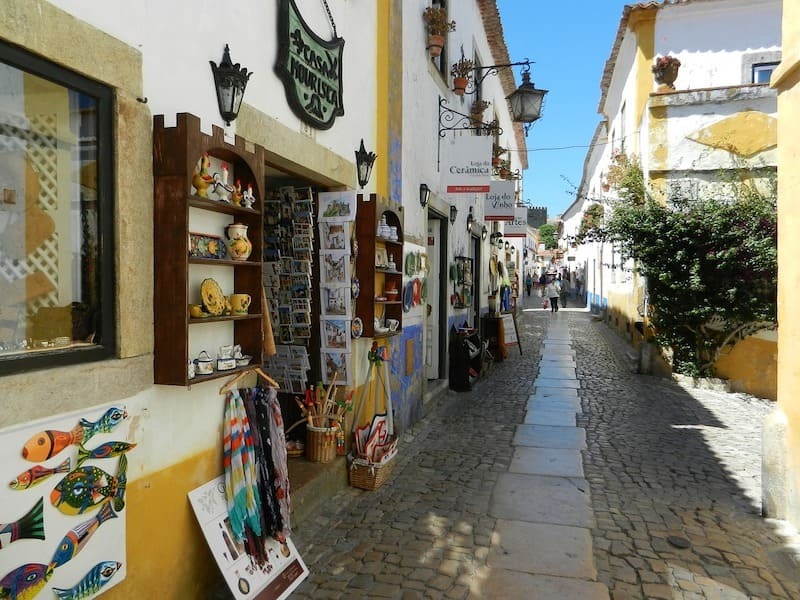 You might get lucky and visit Óbidos during one of its many festivals: Chocolate Festival (around Easter), Ginja / Cherry Brandy Festival (a weekend in late June), Medieval Festival (last two weeks of July), Literary Festival (late September through early October), and the Christmas season. Outside the walls, you have a number country houses, such as Casa de Campo Sao Rafael – Turismo Rural offering an outdoor swimming pool and views of Óbidos. After spending part of the morning exploring Óbidos, drive north to Nazaré, a small coastal resort that became known, back in 2011, when Garrett McNamara set a world record for the largest wave ever surfed on Praia do Norte. See our full Nazaré guide for details. After Nazaré, make a detour to visit Alcobaça and Batalha monasteries, both Unesco World Heritage Sites and gorgeous monuments. Your final destination is Fátima (or alternatively Leiria, see below). Fátima is a small town with a population of only 11,000 people but a major religious and pilgrimage site. It became known for its 20th-century apparitions: the Virgin Mary is said to have appeared in a flash of light to three shepherd children. 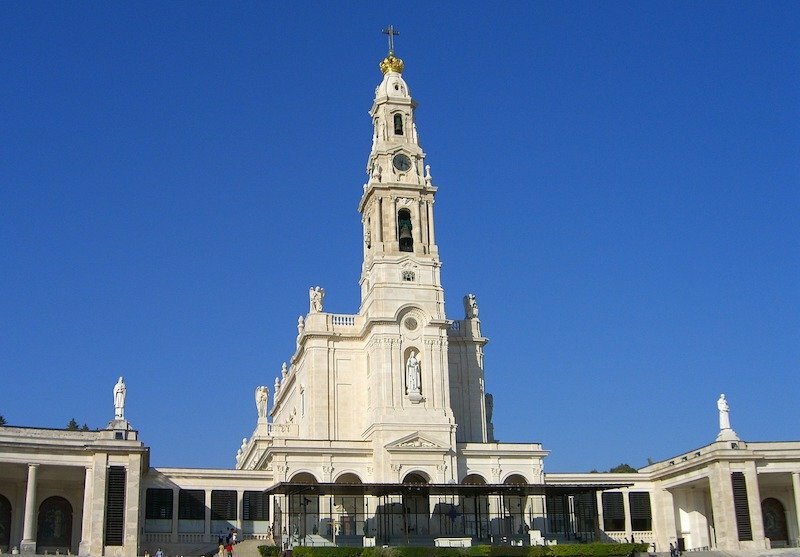 If you have some time after arriving in Fátima, explore its Sanctuary. If you’re not interested in religious tourism, consider staying in Leiria, which has a medieval castle offering stunning views of the town and the Lis River, a historic centre and the Rodrigues Lobo Square with several nice restaurants. Drive to Tomar, known for the Convent of Christ, a Unesco World Heritage Site. The journey takes 35-45 minutes. See our full Tomar guide. Then, continue your trip to Coimbra, the most important city in Central Portugal. 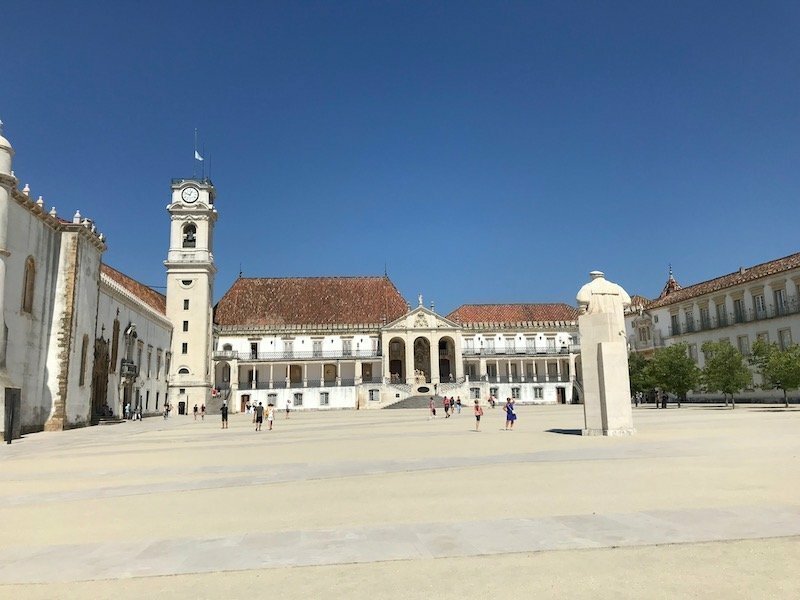 Centered around its university, established in 1290, other Coimbra attractions include the Monastery of Santa-Clara-a-Nova, the old Cathedral, Quinta das Lágrimas with its beautiful gardens, and the banks of the Mondego River. On your last two days in Portugal, you’ll explore Porto, Portugal’s second city. Consider a detour halfway to visit Aveiro, known as the Venice of Portugal. Aveiro also has a nice coastline that you may want to check out. From Aveiro to Porto, it’s a short drive. You’ll have plenty of time after arriving in Porto to explore. See our full Porto guide for details, including accommodation options. 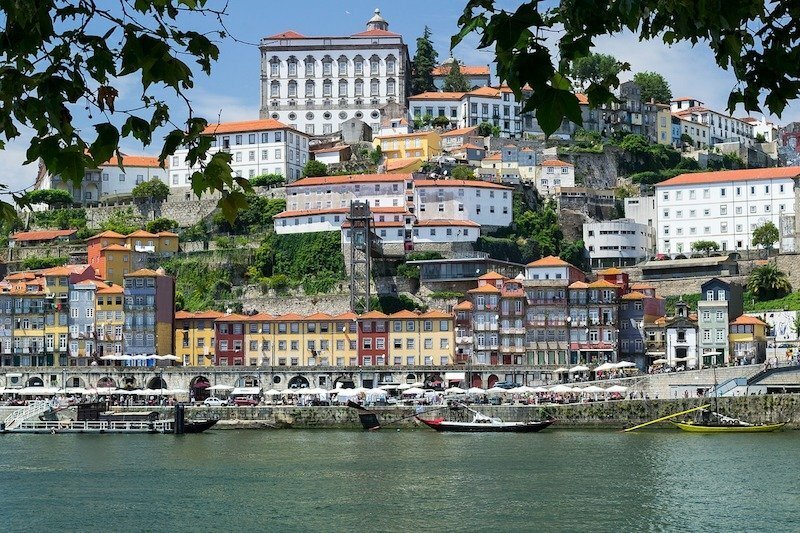 Porto is smaller than Lisbon, and most sights are within walking distance. 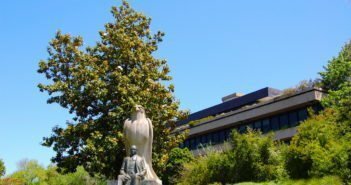 While it has plenty of things to see and do to keep you busy for two full days, you might want instead to take a day trip north of Porto, to Braga (a nice town with several churches, including Bom Jesus Sanctuary), and Guimarães (Portugal’s birthplace with a Unesco-listed town centre). Another option on this day would be a Douro Valley tour. Drive to Peso da Régua through Mesão Frio (about 100km / 62mi) and take the boat to Pinhão and the train back to Peso da Régua, or vice-versa. You might also want to ride on the Douro historic train (June to October only). If you decide to stay more days, see also our full Douro Valley itinerary.